Providing complete auto repair & friendly service beyond compare since 1936. 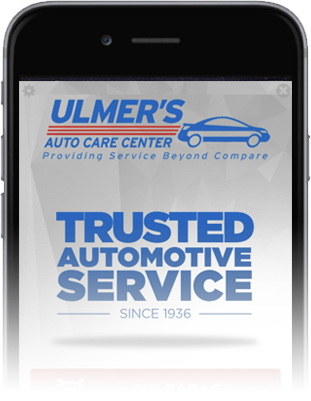 For more than 80 years, Ulmer’s Auto Care Center has been providing the best auto repair in Milford and Anderson, OH. With a dedication to affordable automotive services and complete customer satisfaction, we’ve become known as the areas auto repair shop of choice! Whether you need a simple tire repair, a quick oil change, a major tune-up, or an extensive computer diagnostic test, our highly trained auto service team is ready to serve you. We understand that auto repair is usually unexpected and unplanned—that’s why our priority is to get your vehicle back to you in superior shape as quickly and conveniently as possible! Ulmer’s Auto Care Center offers a wide range of automotive repair and maintenance services for both domestic and import vehicles of any make or model. 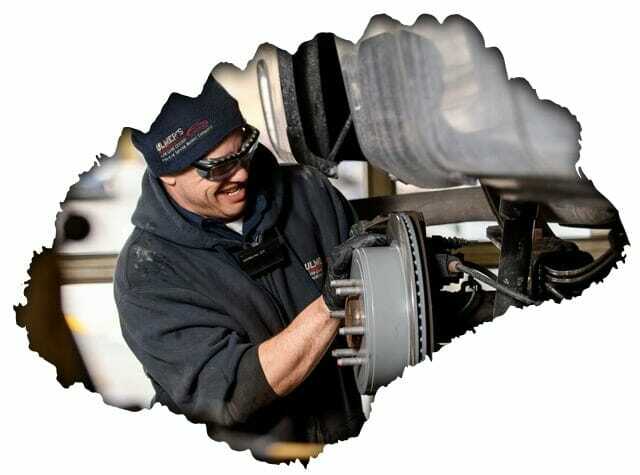 Our mechanics are ASE Certified Master Technicians, experienced and equipped with the latest in car repair technology. We also guarantee our services with a hassle-free 36 month/36,000 mile warranty on all of our parts and procedures! 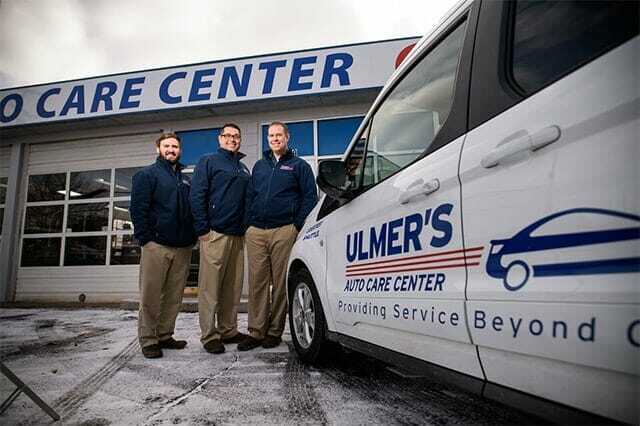 To make your auto repair experience with us even easier, Ulmer’s Auto Care Center offers complimentary loaner cars, a free shuttle service to work or home, and a free vehicle pickup and delivery service to ensure that your daily routine is not interrupted while your automobile is being repaired. We have two convenient locations right outside of Cincinnati, one in Milford and one in Anderson, so full-service auto repair is just around the corner! We invite you to give us a call, easily schedule your appointment online or stop by today for an easy, comfortable auto repair experience with service beyond compare! Ulmer’s Auto Care celebrates over 80 years in business thanks to our loyal customers and supportive community! Our business has grown into the 2 location operation it is today with the support of our many loyal customers. We aim to provide exceptional customer service and quality repairs to serve the community who has been so good to us. With our app users can call us with one touch, get GPS directions to our shop, request a tow if you stranded, get service alerts about upcoming oil changes and services, request appointments, record engine noises for the mechanic, and much more. Ulmer’s Auto Care loves giving back to the Cincinnati, Anderson & Milford communities. We feel that it’s our responsibility to give back to the community that has given so much to us. See how we strive to show how much we care and truly make an impact in the community. Check out the upcoming events that will be happening near you. Proudly Serving Cincinnati, Anderson, Milford, Loveland & the Surrounding Areas!